Just thinking.....that is what I tend to be always doing....just thinking. Now my dear husband might say I am worrying but I call it "thinking". LOL No doubt about it today, I really was just thinking. No worries in sight. 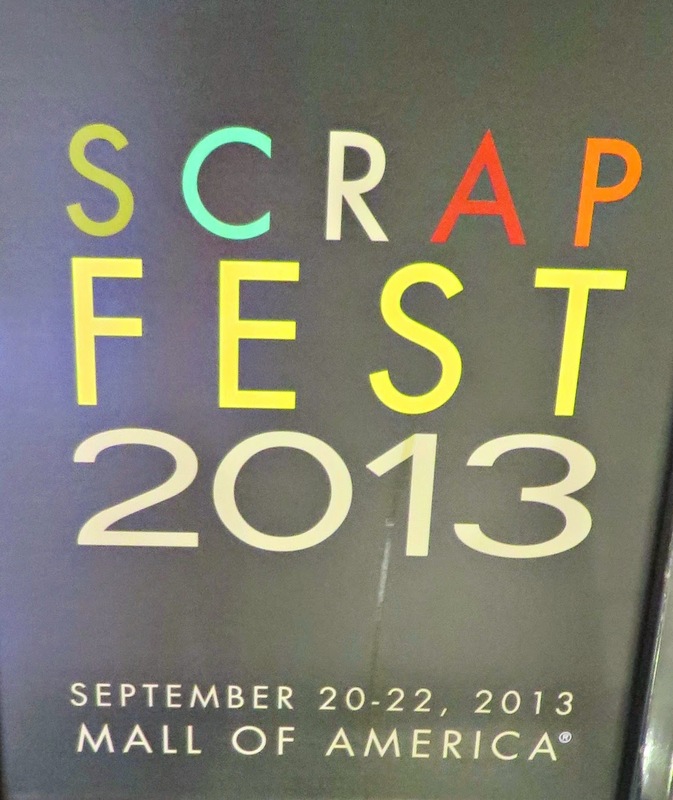 What was on my mind was that a year ago at this time I was eagerly anticipating attending ScrapFest 13 in Minneapolis, MN. Though the event was not until September, at this time last year I was planning AND planning. I was bursting with excitement at the thought of this trip! For starters, the event was held at the Mall of America! Woo-hoo.....shopping and scrapbooking all in one place! The best part of the entire trip, though, was that I was finally going to meet several blogging buddies in person for the first time. Some of you may notice that on my sidebar I have a list of blogs titled "Paper Bloggers Reunited". Well some of those are the gals I had the pleasure of meeting in person last September. We had so much fun and the hope is that 2015 brings us together in person again. If you missed my original post about the great time had by me at ScrapFest head over here to check it out. If you haven't checked out the Paper Bloggers Reunited blogs you should. All of them have wonderful things on their blogs (see my sidebar for the links). Thanks SO much for stopping by! I hope that you have a magical day doing something that you love doing!! We really need to make a decision as to where we are meeting next year. Shame we can't all get together and discuss that in person LOL Hugs! That was such a wonderful time and full of so many fabulous memories with you, Brandy and Nancy. It is on my schedule for next year. Just need to find the right time and place! Woo Hoo!